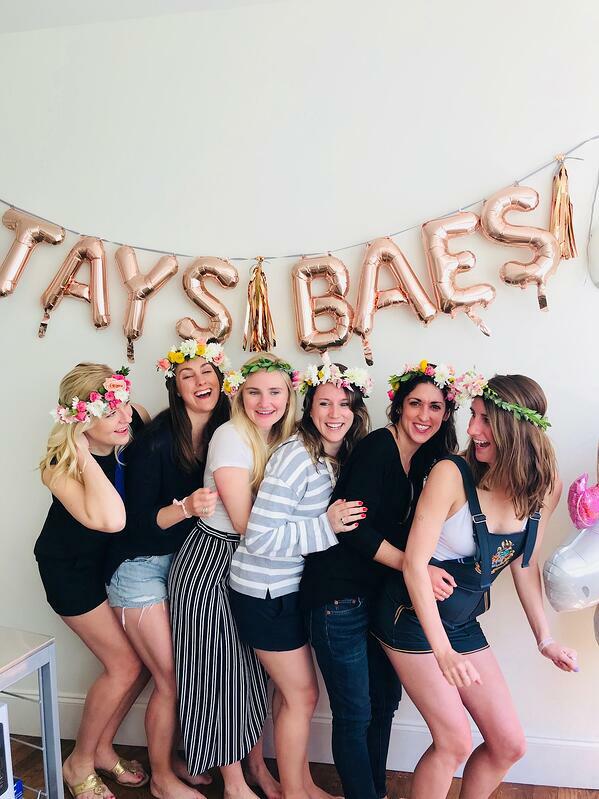 Planning your bachelorette party in Dallas or a girls weekend trip to Dallas? So grab your girls and get your sweat on with these awesome group workout classes that we have found for you in Dallas! Most of these studios offer your first class free as well and are in the hottest areas of Dallas. Start your bachelorette bash or girls weekend in Dallas by getting that heart rate up, or hit a class before sipping mimosas at brunch. 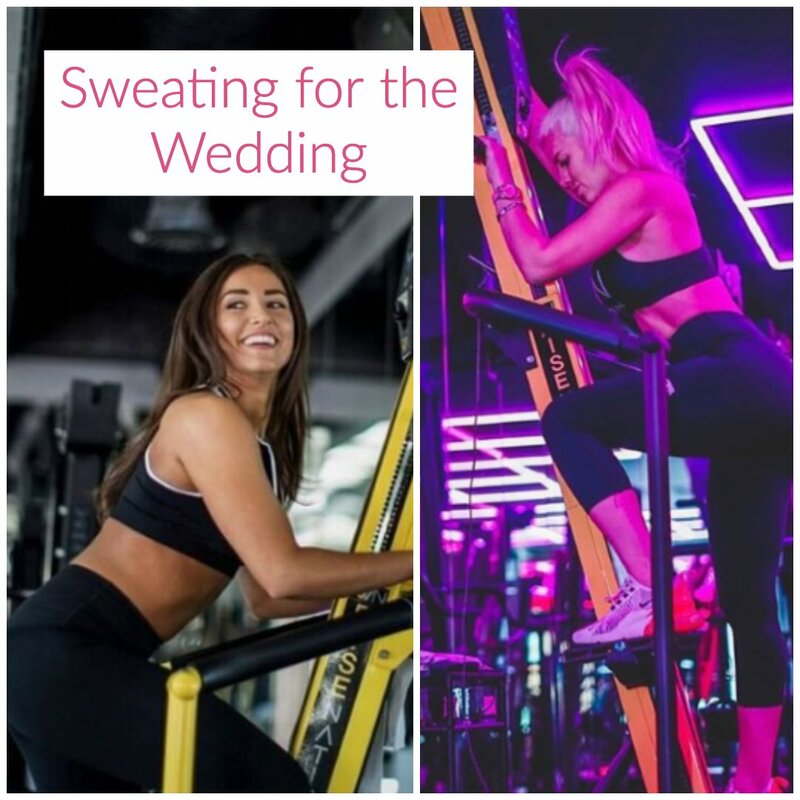 We know you won't regret any of these cool workout classes with your bride tribe or girlfriends on your weekend trip here in Dallas. This class is a high intensity but insanely fun cardio class. The studio is completely blacked out with rows of Versa Climbers (think standing stationary bike), and when the first beat drops the room is transformed into LEGIT, a club! I like this workout because it is challenging, but only 30 minutes so it is the perfect class if you are looking to sweat on your bachelorette but have a jam packed schedule for your weekend. Also, I first found out about this workout when watching The Real Housewives of Beverly Hills and when we got a studio in Dallas everybody couldn't wait to try it! So if you are looking for the IT class to get your sweat on in Dallas on your weekend - we highly recommend trying this out. Check out Rise Nation on INSTA here. There are dozens of barre studios around Dallas, but Pure Barre by far has the biggest following and community! Barre is a pilates based class that will leave you feeling like a boss ballerina bride on your way out to brunch or day drinks post class. Pure Barre also has multiple locations in the Dallas area, so whatever neighborhood you decide to stay in here in Dallas, there will be a location near you! I suggest calling the studio and booking your own private class for you and your bride tribe to get the full barre experience. The hype is REAL. There is a reason this workout studio has a cult following and so many celebs love it. Like any cycling class, your heart will get pumping and your legs will feel like jello after, but at a SoulCycle class you will leave feeling like a magical unicorn ready to slay whatever comes your way. Reserve your class early with your ladies because this is a popular workout here in Dallas with only two locations in the best areas. If you and your girls want to get zen before your wild night out, Black Swan is the coolest new yoga place in Dallas. Classes are donation based (so basically FREE) and they are open to all levels! The instructors are so chill and fun, that they will challenge the most advanced yogi or modify the moves for any beginners. I always leave feeling way better than when I went in, and I think it would be the perfect way to wrap up an exciting bachelorette weekend here in Dallas. Feel free to check out their Instagram here. 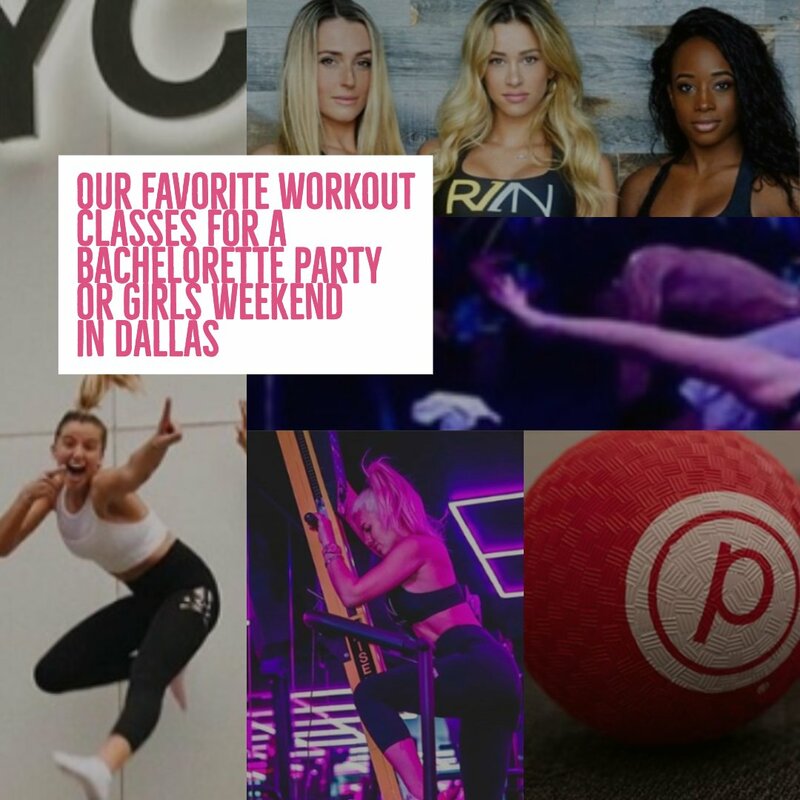 Thanks for reading along on what we think are the best group workout classes for a Dallas girls trip or a Dallas bachelorette party! 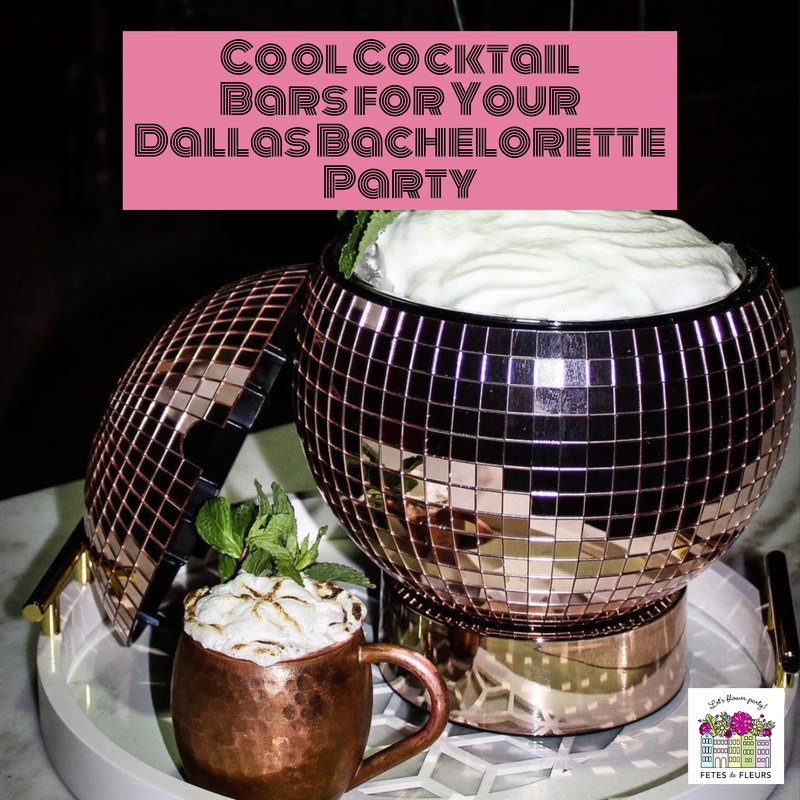 We hope that these got you excited for planning your bachelorette party or girls weekend here in Dallas. 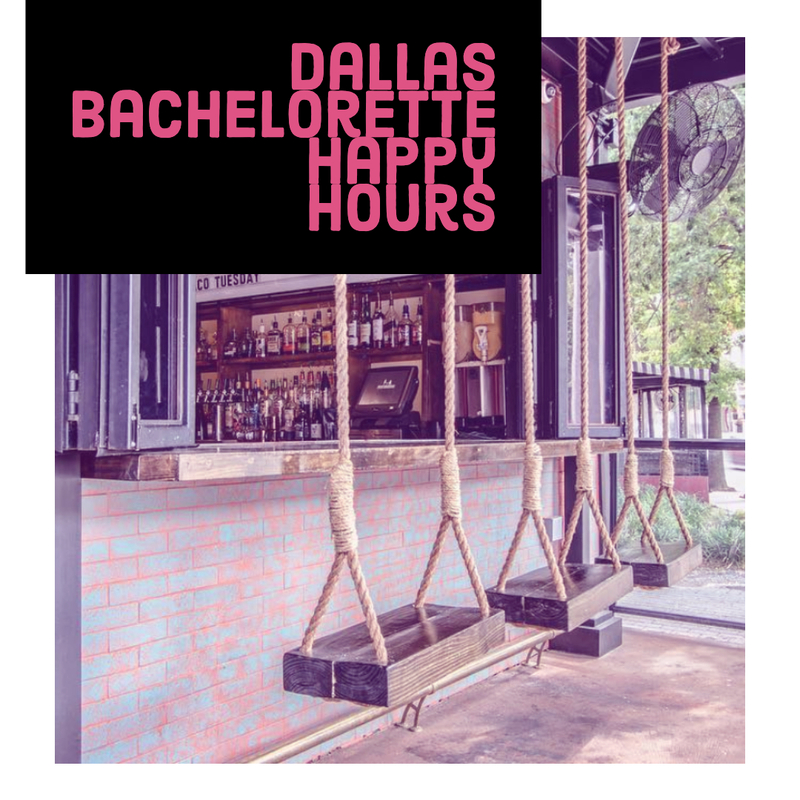 You can also check out all of our recommendations on things to do in Dallas on our Guide to a Dallas Bachelorette Party here. If you are also looking for other activities for your bachelorette party weekend in Dallas or a girls weekend trip to Dallas of course we have to TOOT TOOT our own horn here. 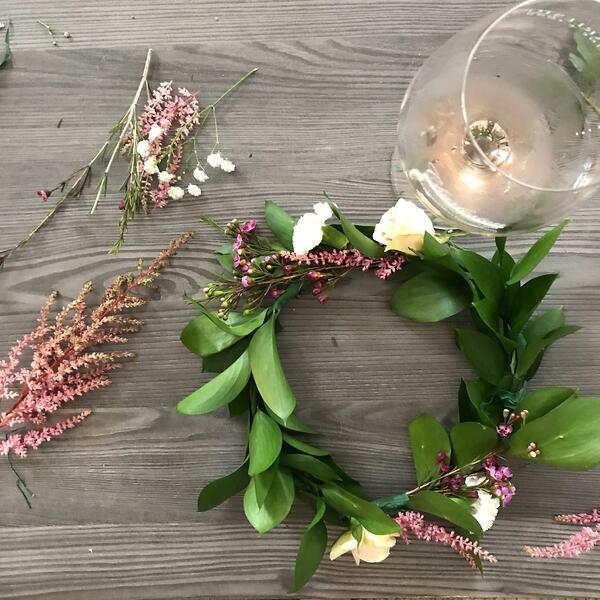 We do flower crown workshops and floral arranging workshops at your house, airbnb or hotel. 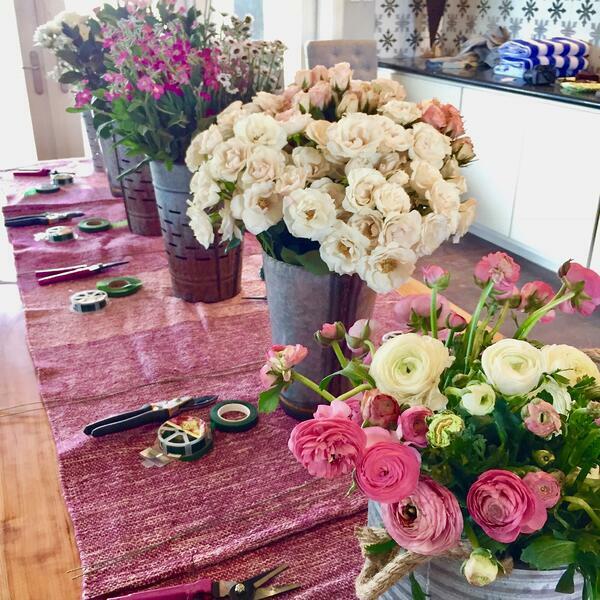 If you are looking for fun and cute, girly ideas for a ladies night in, bachelorette party or really any other celebration in Dallas fill out the form here to learn more about how our floral workshops work. 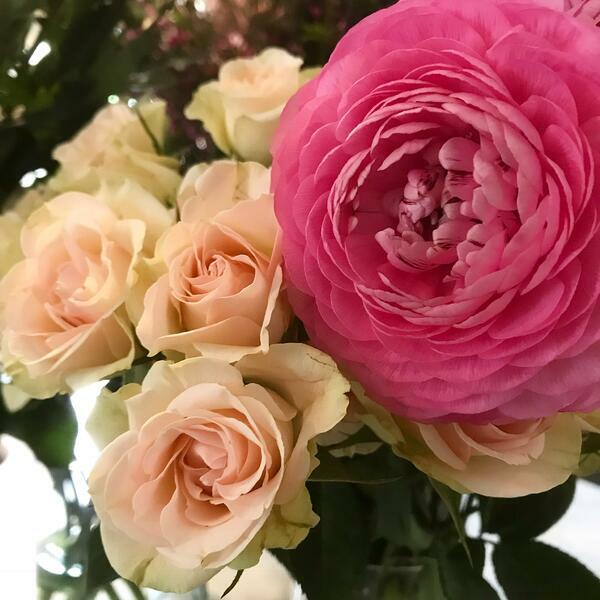 We would love to help you have fun with flowers! Most unique cocktails I’ve ever found, they literally shake them up by putting them through one of those tubes banks use to deposit checks! Check out their Instagram! The sole point of this fabulously cool place is to BLOW your mind with how they make their cocktails. If you want a lounge setting with an experiential element to how they craft their cocktails and drinks you should def go here, ladies. We saw on their insta that they have these sharable cocktails too that come in hats. We will take one of those please and thanks. Best rooftop hands down, and huge place all together. This is known as one of Dallas' largest patio bars and lounges around. They also have a DJ there on Thursday through Saturday nights. We love a DJ for bachelorette bashes so there you have that. Oh and guess what? They are known for HAPPY HOUR. Wonder why? 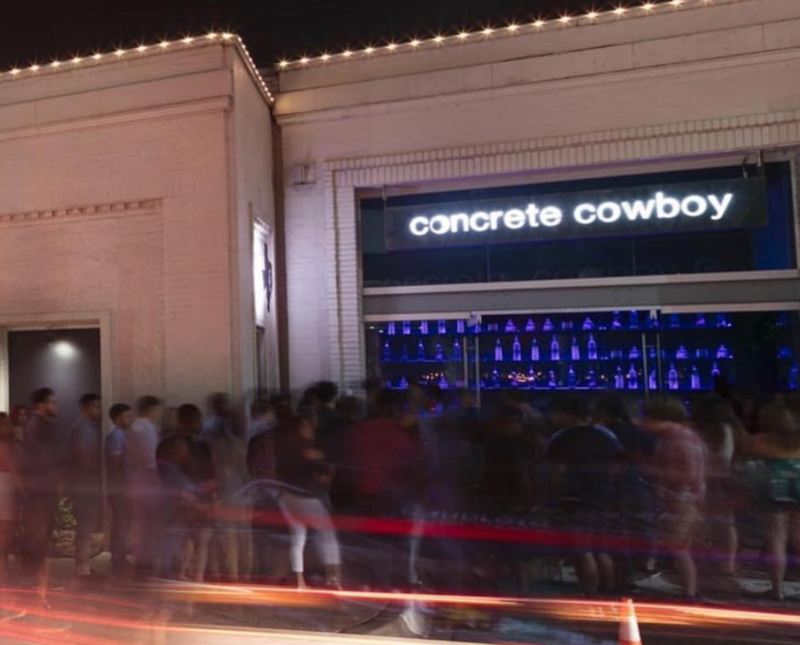 This is one of Dallas' most popular bars. They have tons of beer on tap, wine on tap (yes), and lots of fun cocktails for your Dallas bachelorette party to pick from. Happy Hour insta fun here. They have lots of "team cocktails" - which means just bigger cocktails for sharing too. Adult capri suns and bar swings, what more could a girl ask for? WE love, love, love this place. We would love to do a flower crown workshop here over some adult capri suns. They have tons of childhood games for your group to play with all while having some cute cocktails. They also have a seesaw- when is the last time you went on one of those? We really want to see a Dallas bachelorette party group playing on that with capri suns and flower crowns. Check out their insta here to see some swinging fun! This is a party bar for grownups. Think ADULT PLAYGROUND. You can also reserve tables here. This place gets packed so plan ahead. Check out that line baby. Concrete Cowboy INSTA here. Go here if you are in the mood for dancing! Great Moscow Mules and hand-crafted drinks. A lot of people love this place. Think great cocktails and not super expensive. Well known for happy hour in Dallas. The bar area is small so make sure you get there early. Amazing outdoor space and tons of beer as well as cocktails to choose from. This is definitely a locals spot. So if you are looking for ideas on where we locals go this is one. Get major Texas vibes here and yummy drinks. They have a HUGE patio with lots of country music to listen to. If you want something outside with a big TEXAS vibe make sure your bachelorette party group hits this up. This is a honky tonk and country bar. They have live music and lots of games to play too. 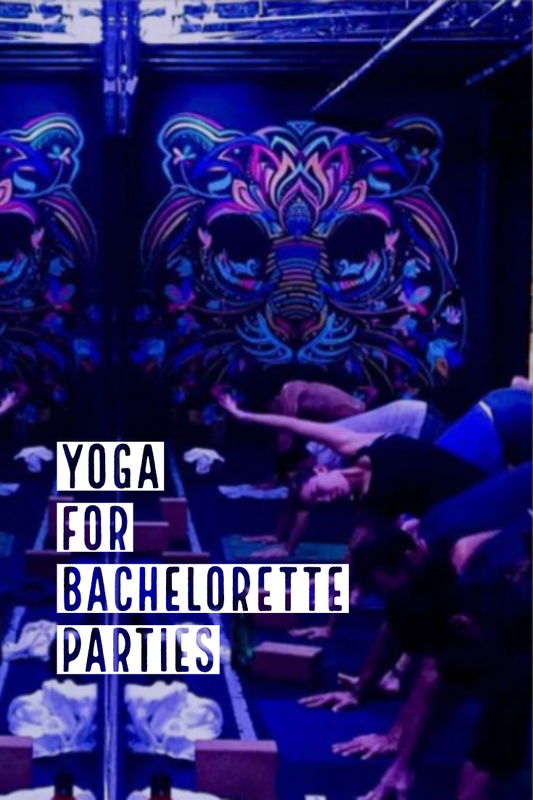 Such a fun activity for a Dallas bachelorette group! Sing along to dueling bands and drink fish bowls; they might even pull your bride on stage. We love when places do that. Imagine if you were wearing a flower crown and signing along. We love that idea. You can check out their insta here to see the piano fun in action. SPEAKEASY! This place looks like a candy shop when you walk up, but check their Facebook (we linked it above in the name) for the password to get in and you’ll be taken behind the door to the bar. What a cool concept. We love places that don't look like what they really are. We are in. Another great rooftop bar with a great DJ. If you are looking for a local place with an awesome roof deck you will want to swing by here and have some drinks. Great patio with my favorite drink, the Crushed Velvet, and yummy food! Pub that only serves beer, but great choices and cool decor. If your group is into beer this might be a spot that you want to check out. More traditional pub-style, but with awesome character. Not sure if you are picking up on this but Dallas has a lot of great happy hours to pick from. This place is great for happy hour too. Huge new area of different bars and restaurants all together in one place, you could spend the whole night here. We love spots like this and see more and more places like this popping up in the cities we are in around the US. If you want to head to one location and see/eat a bunch of a different things this could be a fun spot to spend time at. Check out their insta here to see why they are named one of the best food halls with lots of entertainment options. Club great for dancing with your girls! These are just a handful of my favorite places to sip on tasty drinks, and laugh or dance with my girls. 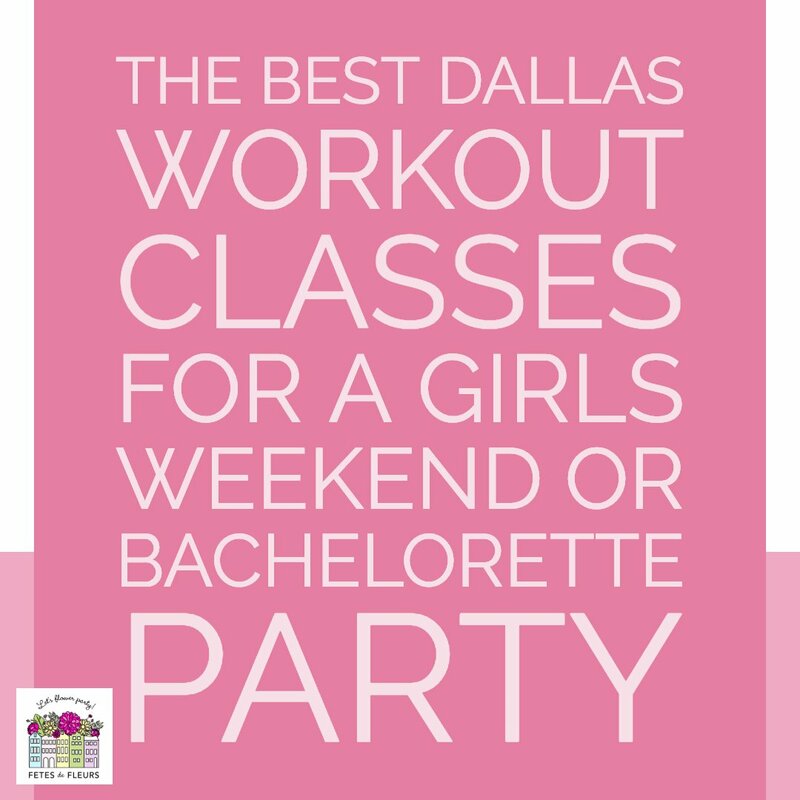 Any of them will make your Dallas bachelorette party the best one yet. And don’t forget how amazing all of your flower crowns will look in each and every one of them. 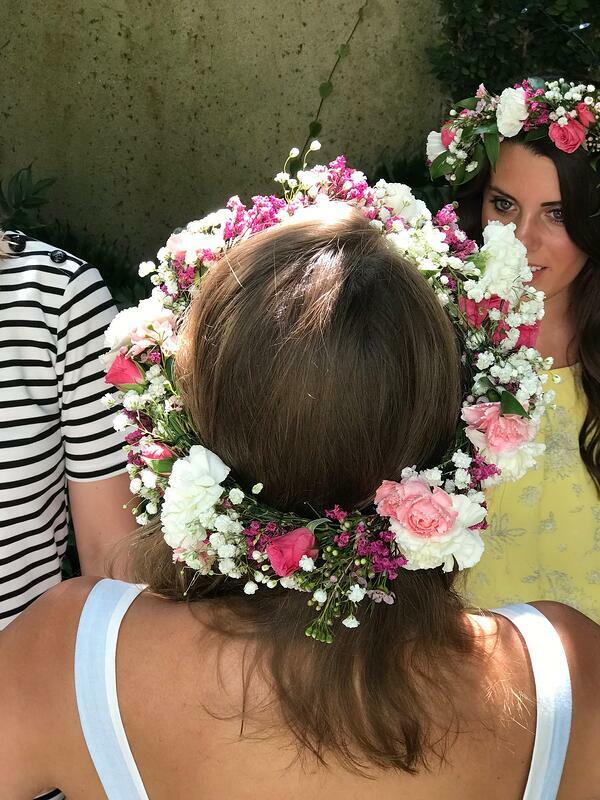 Sipping fun cocktails and dancing the night away wearing flower crowns from a flower crown workshop with us makes for the perfect Dallas weekend. 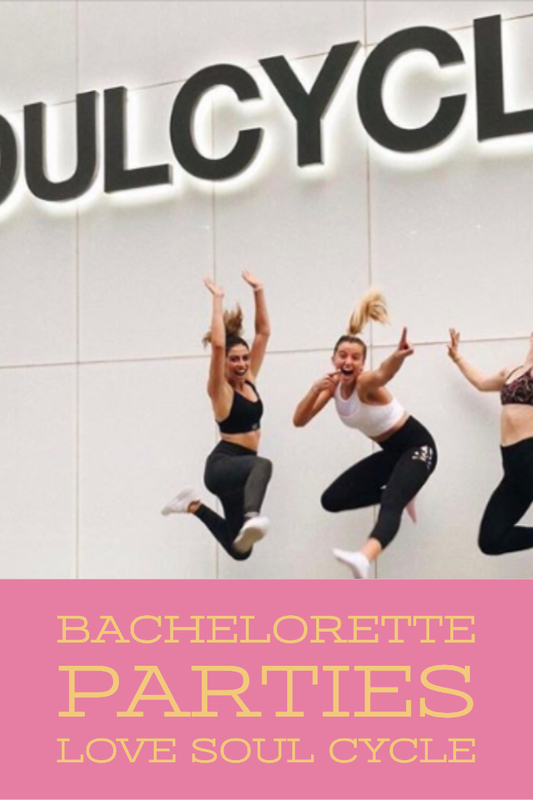 Make sure to check out our Dallas bachelorette party guide here for all things related to things to do in Dallas on your bachelorette party weekend. 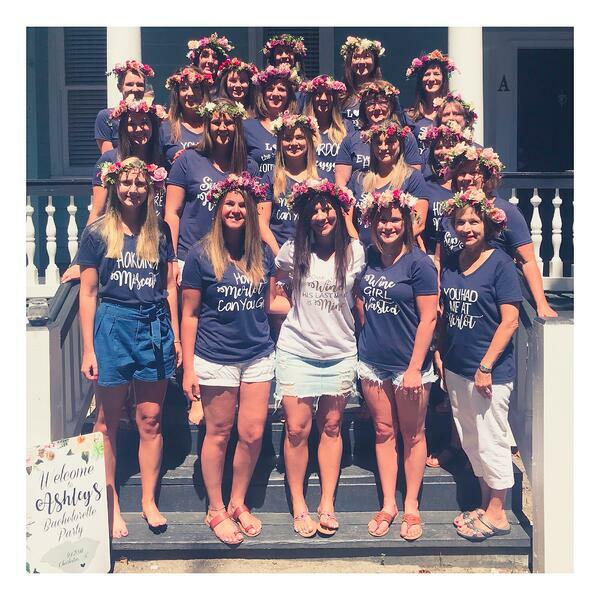 This group of girls were celebrating their bride to be in Dallas with some of the girls traveling from other cities like Austin and even Washington! 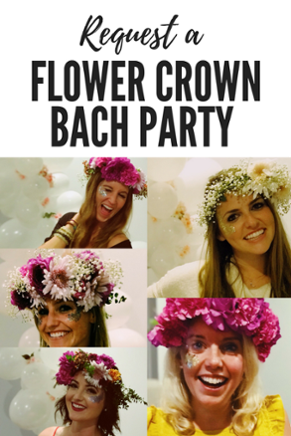 (PS we have a flower party host in Austin too so if you are ever there and want to flower party there you can)! 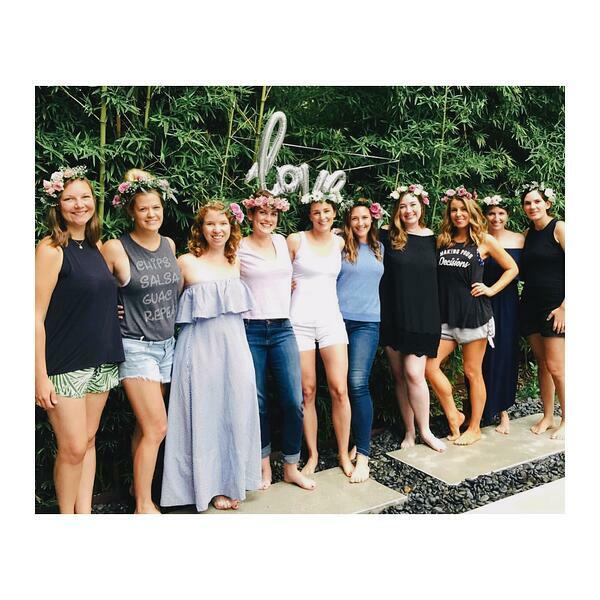 This group chose to end their weekend Dallas bachelorette bash with a relaxing flower crown party. 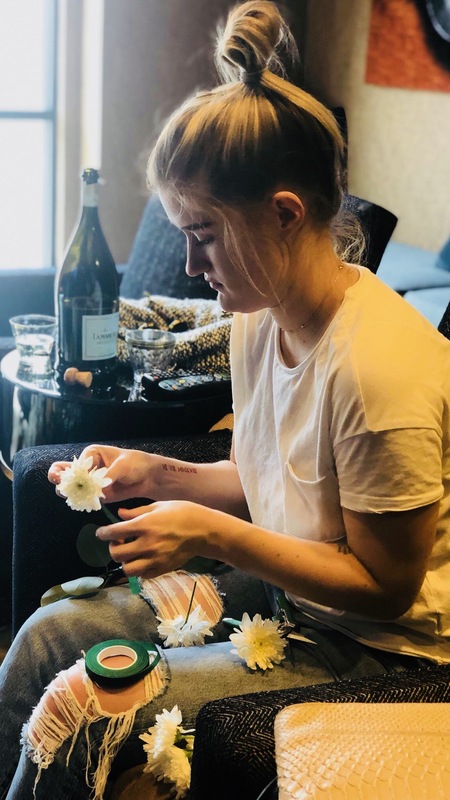 I loved this idea because it was something for them to all do together over an activity learning some thing new with flowers to wrap up the perfect weekend and put a bow, I mean flower crown, on it! We can help your group in any city that we are in to put a fun twist on any kind of celebration over flowers. 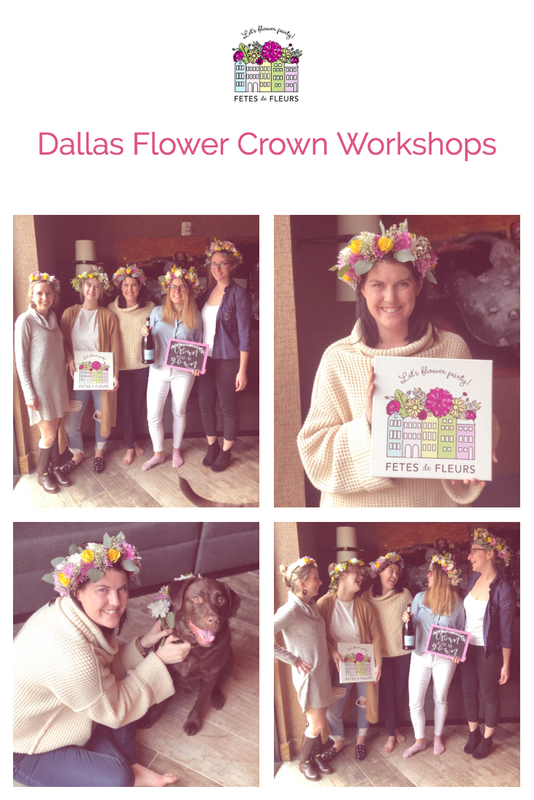 Our signature floral class is our flower crown workshop which is what this group did for the Dallas bachelorette party activity. The bride and her best friends had done a peddle bike tour of Dallas and night out on the town before hand, so Sunday was the perfect day to wind down the weekend. 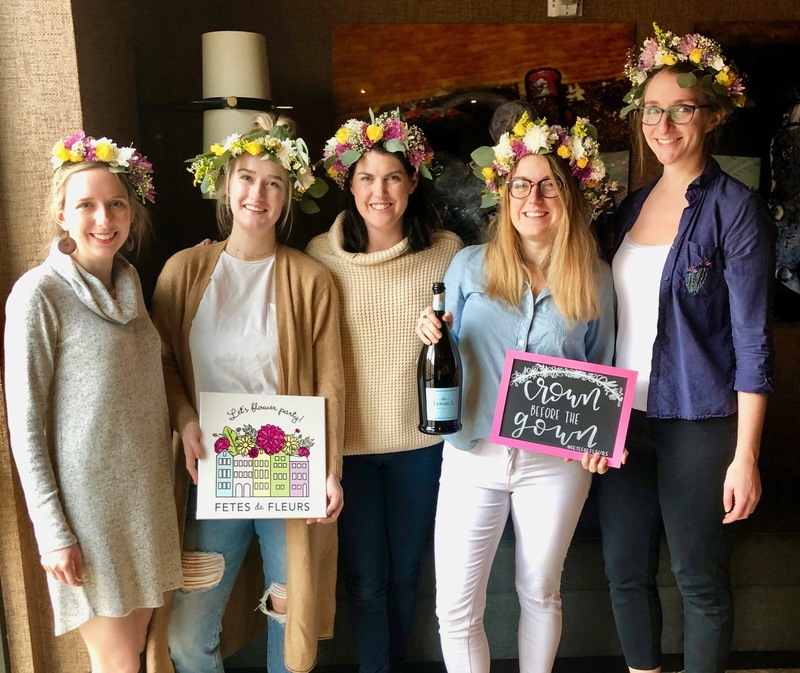 A perfect cap to their bachelorette party weekend in Dallas, if you ask us! I met the girls at the hostess’ apartment complex where they had just walked back from sipping on mimosas at brunch. This is definitely a great way to start a Sunday over a bachelorette party weekend. Mimosas, and flower crowns to end a Dallas bachelorette party weekend. SMART LADIES! This apartment complex was so cool that it had a common area room called “Uncorked” that was a wine lounge with plush chairs and modern decor. It was such a chic place for the party, and she didn’t even have to rent it out! Fetes will come to anywhere your party is being hosted, so get creative with your location! We will work with your group on the location and make sure you understand what to expect from our workshops ahead of the party date. After I got all of their supplies setup and the beautiful flowers ready to go, the girls popped their champagne and we all got started! The bride was so happy because we used her favorite color flowers- purple and yellow. They also loved the smell of the eucalyptus greenery we used as our base of our flower crowns. 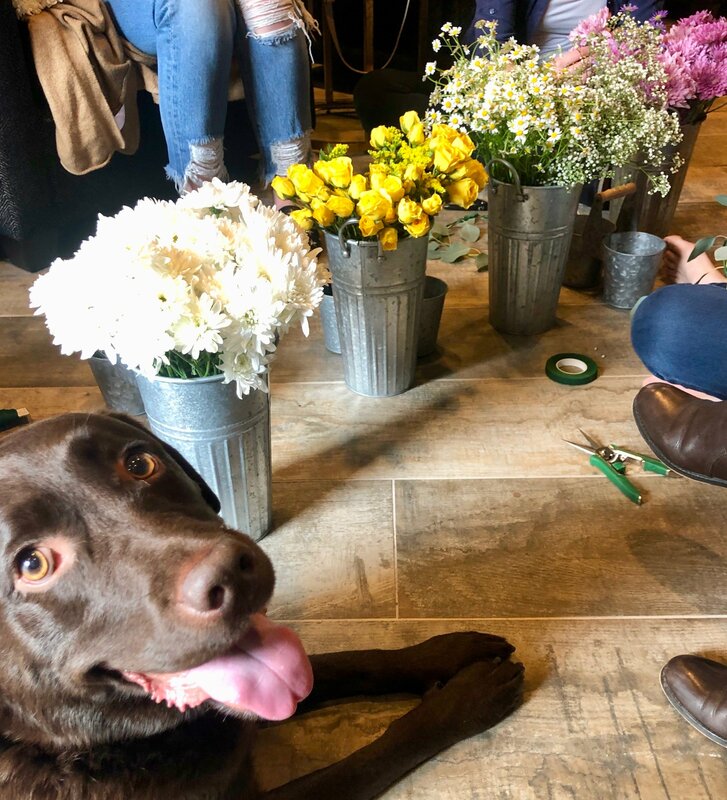 Once the girls had their bases set, we moved the flower buckets over to the floor where they could sit and watch the football game over making their flower crowns. These girls were so fun and laid back, this party couldn’t have been more relaxed! 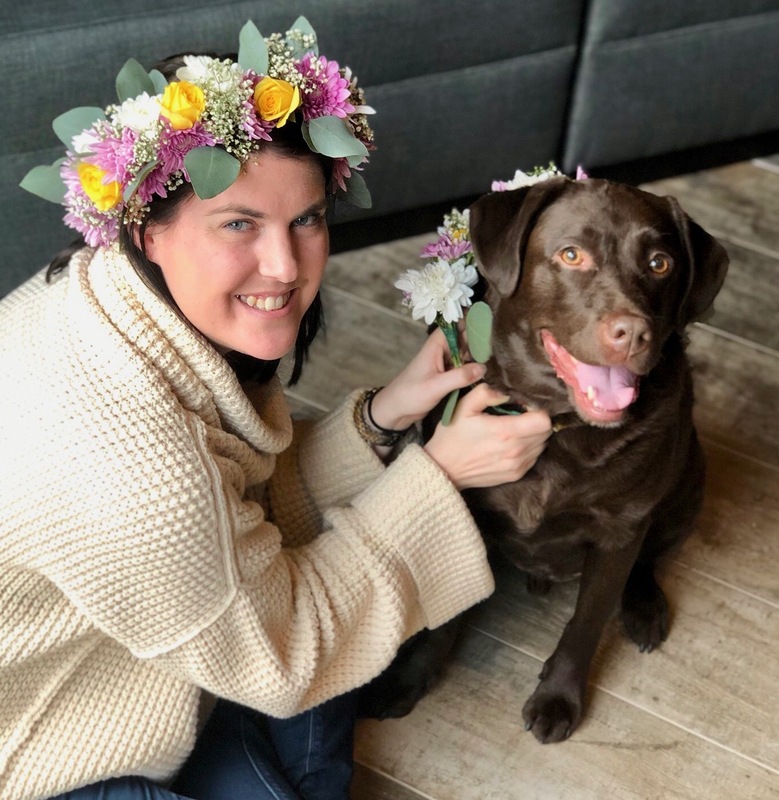 The hostess even brought her pup, Bourbon, down for the fun and the dog got in on the flower crown action. 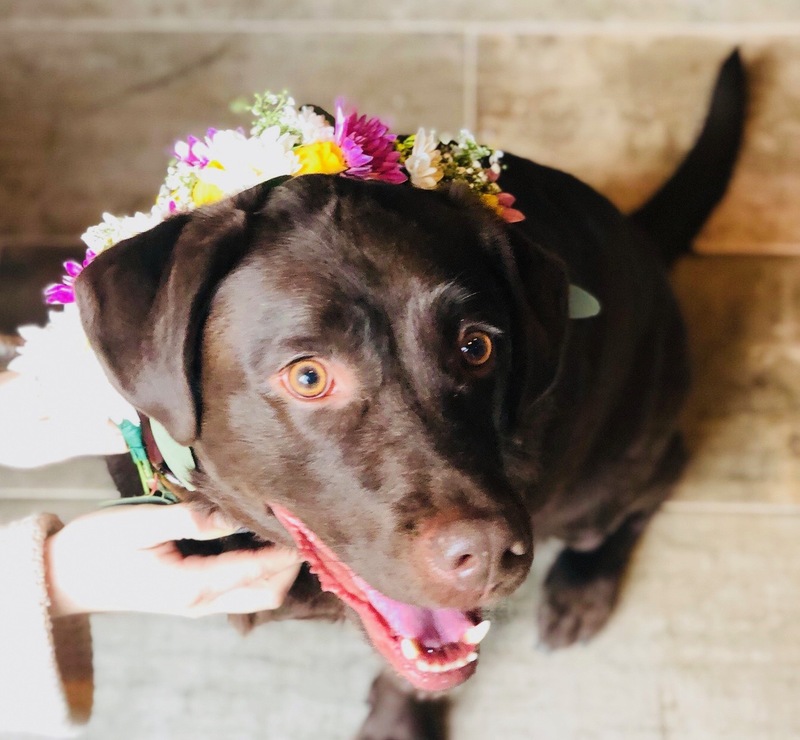 We love a puppy in a flower crown collar. When I asked why they picked this as an activity for the bachelorette, the bride said she had wanted to do something crafty! 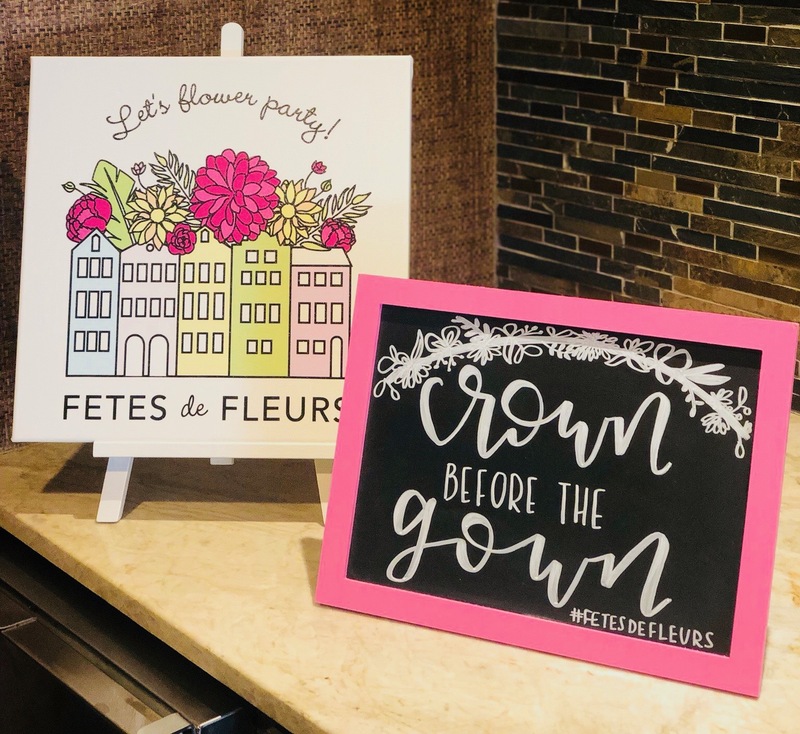 The hostess wasn’t quite sure what to pick, but when she found Fetes on Pinterest, she knew it would be right up the bride's ally! Some of the girls quickly informed me they were NOT crafty and might struggle, but they surprised themselves with how easy it was and how well their crown turned out! 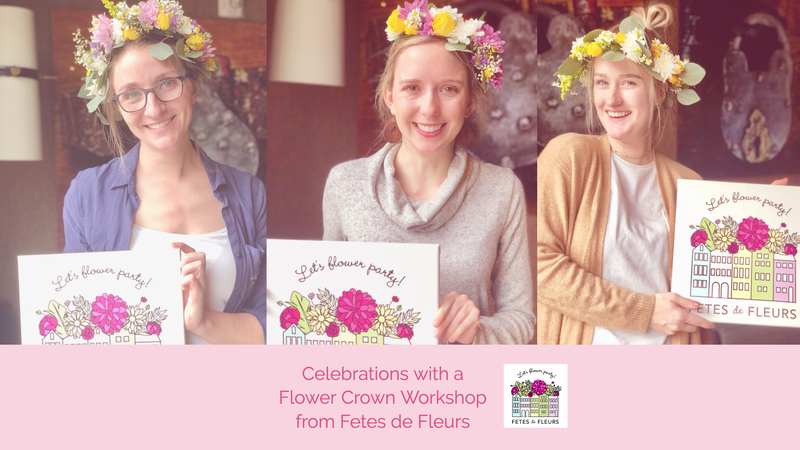 Flower Crowning is definitely for everybody, crafty or not! But it is the perfect way to personalize a party for your favorite bride or birthday girl. We will always help our groups perfect their flower crowns so don't worry if you feel like your group is not a crafty bunch. We got you! 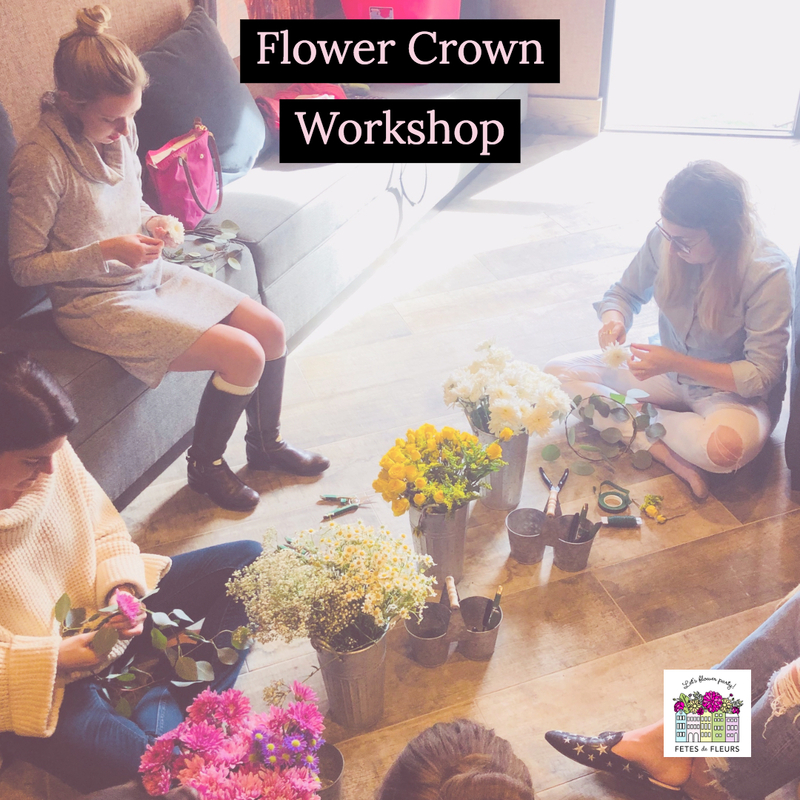 We know how to help you have the best time ever learning a new floral skill. We promise it will be pretty relaxing and a fun activity for any celebration. So now that the first Dallas flower party is in the books, who’s going to be next?! We are ready for you Dallas and can’t wait to keep the party going! We can't wait to flower party with you Dallas. Keep us in mind for your celebrations that you have coming up and where you want to have a fun, different activity for your group to do during the celebration. We are a perfect activity for your bachelorette parties, bridal showers, baby showers, birthdays, girls night in, ladies night, events, etc. Hope to flower party with you again soon Dallas! Now I think there are two types of people in this world- one who doesn’t care where they lay their head at night as long as they have a bed and place to charge their phone, and two, people who want to feel cozy and luxurious during their stay. Well let’s face it, those first types are probably all men. HA! Us girls deserve to stay in the best places when we vacay because it is a break from being total boss babes 24/7! Especially when you are traveling to spoil your bride to be on her bachelorette party weekend in Dallas because this is one of the few times during the wedding planning process that she can actually relax. As I mentioned in my previous post, Dallas is a shape shifting city that can fit the mold of any desires you may have, which means there are also so many different places to stay based on what you are looking for! 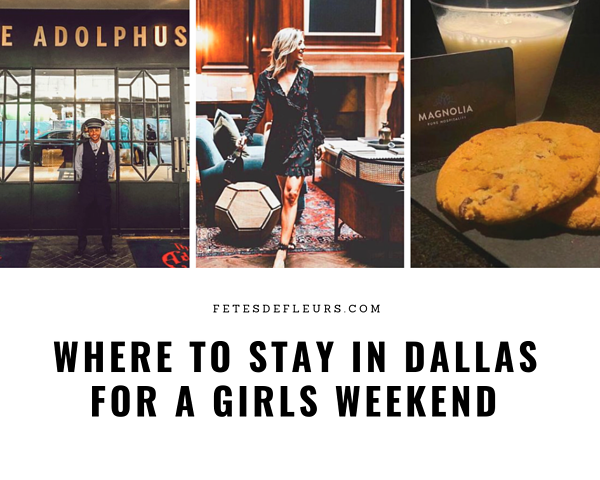 Here are our favorites places to stay when you visit Dallas for your girls weekend or a Dallas bachelorette party weekend. If you are looking to stay right in the heart of downtown, Dallas has some amazing chain and boutique hotels to choose from. So depending on if your girl tribe wants a hotel you know the name of or a boutique hotel we have you covered with our list of places we love. The Adolphus Hotel is our prize jewel with enough marble to make you feel like the queen that you are, and a killer spa. I would pick here to stay anytime if the budget allowed. You can check out their Instagram page here to feel inspired by their beautiful photos! The Omni Hotel also offers great views of our skyline, thanks to the beautiful Reunion Tower and glass skyscrapers. The best experience I had at a downtown Dallas hotel was at the Magnolia Hotel, where not only was their happy hour good (if you read my last post, you know my love for happy hours), but they had a free MILK AND COOKIE bar after 8pm. I mean, how stinking cute is that! Now, I might be a fat kid at heart, but they got me. Make sure you check your ratings and reviews before booking a hotel downtown, but picking one here will guarantee a fun night out with your girls as well as a great place to crash post partying! You can check out the Magnolia Hotel's Instagram here. When I was convincing you to come to Dallas in my last post where we talked about our favorite restaurants to visit, Uptown was one of the reasons to visit for all of the chic dining and dancing you could want. This also makes it one of the best places to stay because it is a little removed from the streets of downtown, but close enough to where you still feel apart of it all. The hotels are amazing and sophisticated, but it is here you will find amazing AirBnbs (if that is more your vibe) since the streets are lined with townhomes and condos. When booking, look for a place off of McKinney or Maple Avenue. This will ensure you are in close proximity to everything Uptown has to offer. 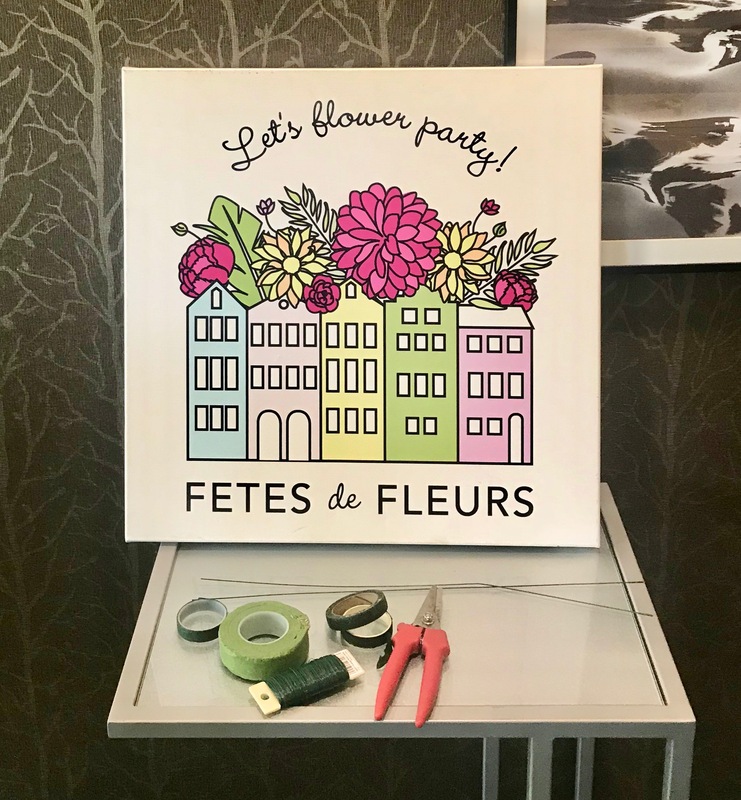 PS: we can come to your hotel room or your Airbnb to setup our signature Fetes de Fleurs flower bar. 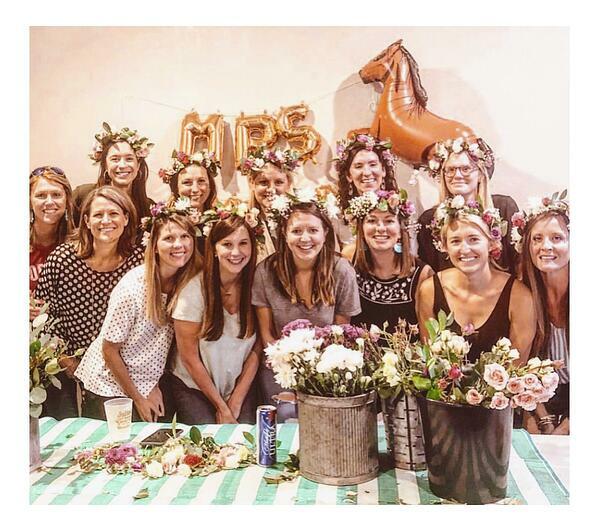 We host flower crown parties all over the Dallas area to help you have a fun activity for your Dallas bachelorette party weekend. 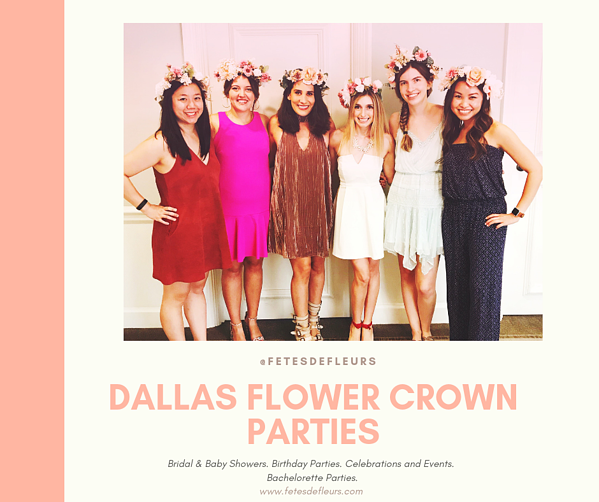 Just fill out the form here to learn more about hosting a Dallas flower party. I may be a little biased, but I think the Dallas’ suburbs offer the best places to stay. Hear me out, Dallas has suburbs that are unlike other places because they are all still so close to downtown. This isn’t a suburb that you stay in and then have to drive an hour to get to the action. When you choose to stay in these certain Dallas suburbs, the exciting city is only a 15 to 20 minute Uber ride away. The best suburbs to stay in are going to be Addison, Park Cities, and Plano. All of the Dallas suburbs offer nice and clean hotels or cozy homes for AirBnbs still just a stone's throw away from downtown. My favorite in the Addison area is The Westin Galleria, because well it is literally attached to one of our biggest malls in the city. Any trip that includes shopping is proven to be a win in our book! And we know no girls weekend or bachelorette party weekend is complete without shopping! In Plano, you can find the Aloft hotel which actually has a downtown location as well. The Plano location offers the same contemporary vibes as downtown with a little more comfort only a suburb can offer. Aloft hotels are always great options really in any city you pick because you know what you are going to get. CHIC decor (our fave) and great service. Also, any place you pick in Park Cities is going to be your closest to downtown and your most sophisticated of the suburbs. Park Cities also offers high end shopping in Highland Village, and many chic Airbnbs right next to the wealthiest of Dallas. I could go on and on, but as you can see Dallas has more than enough to offer for your perfect girls trip to Dallas or bachelorette party in Dallas. The best part? Any of these places would be the perfect space to host a flower crown party with us (of course)! 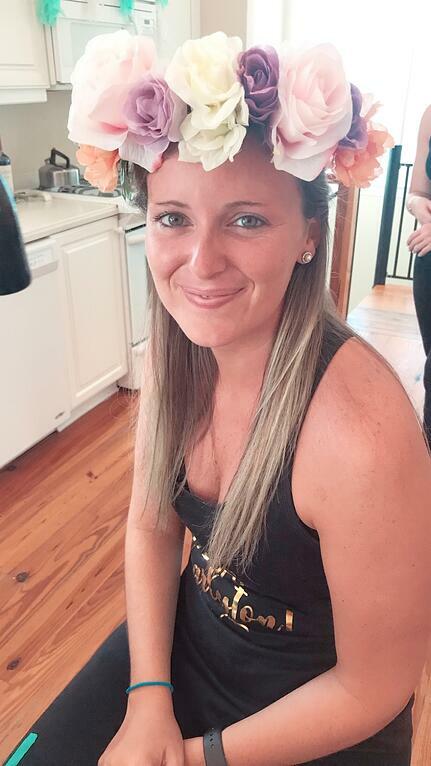 Can’t wait to see where you pick and make our beautiful flower crowns together! This is where the heart of the city thrives, and as I explored the city of Dallas I fell more in love with all of the different experiences Dallas has to offer! I call them experiences because when you visit, you don’t just go sight seeing or walking around; you truly adventure in and become a part of the city making it the perfect backdrop for anything you want to do. So when your bride tribe or girl gang wants to get away for the weekend, here’s why you should pick Dallas, Texas. Dallas is a perfect location for your bachelorette weekend or a ladies weekend away. 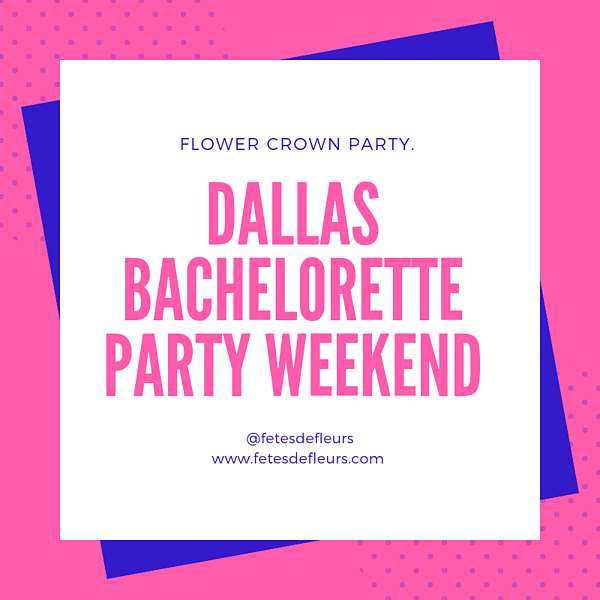 We hope you will consider our flower crown making parties as part of your Dallas bachelorette party weekend. I’m sure there is a survey that exists somewhere, but I would put my life on it that Dallas has BY FAR the best happy hours in any city you’ll find. Happy hours are what get the best nights of your lives started, and what better place to do that than on one of Dallas’ best rooftops or patios. Drinks taste better during these hours, and even better when you’re overlooking the city or soaking up the sun. Visit The Rustic for amazing drinks and even better outdoor area, and we even have a restaurant/bar called Happiest Hour with an amazing rooftop bar gazing out at the city. You’re bound to have fun anywhere you go in Dallas during happy hour. 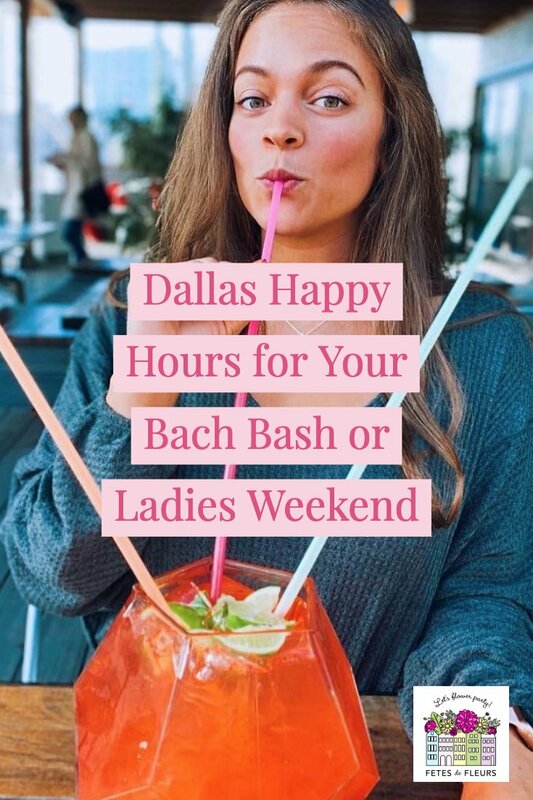 So make sure you do your research before your Dallas bachelorette party or your Dallas girls weekend so you have your happy hours mapped out. While Texas may known for its barbecue, it is definitely not all that we have to offer. Every hot neighborhood in Dallas has its own unique restaurants that you can eat the best food to satisfy anything you’re craving. I may be a little biased, but anything Tex-Mex is going to be an amazing choice for your ladies weekend. Meso Maya and Gloria’s have their own take on it including some Latin flavors, while El Fenix and Desperados are going to have your classic Tex-Mex with the best margs and queso you can find. The foodies in your group will love the new foods they get to experience in Dallas. So make sure your bride tribe thinks ahead and get some reservations going at the best tex mex restaurants Dallas has to offer. Are you a group of girls who love adventure? Is your bride a girl who loves eclectic music and art? Maybe you all plan to shop til you drop (link to best shopping in Dallas), or maybe you just want to relax and lounge on a patio. Dallas can be your chameleon, changing into anything you need it to be to fit your vibe. During the day, the city is at your fingertips with so many options to choose from. Get your scooter or bike on. Go adventure down the Katy Trail on bikes or scooters, being sure to stop at the bar right along the bike path. Want to take it easy and soak up the best views? Klyde Warren Park in Dallas’ version of Central Park, with a stage, benches and events always happening right in the middle of downtown (my favorite is the free Saturday morning yoga right on the lawn). Let's get dressed up and take on the night. 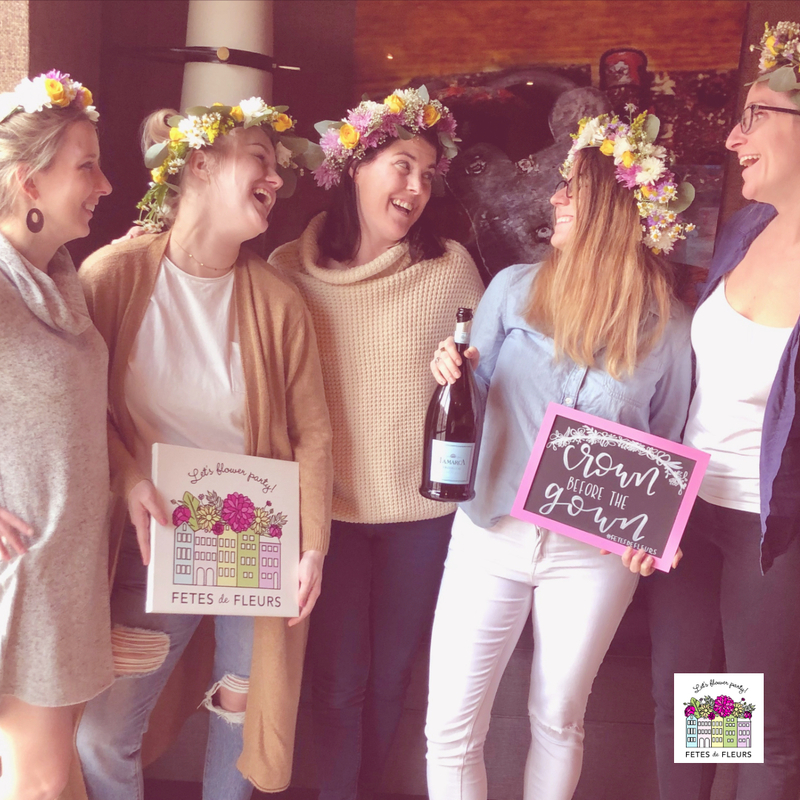 When you and your girls want to put on your sparkly dresses and your beautiful flower crowns we made, Uptown is the place to go for fun and fancy bars and restaurants. If you’re feeling more in the mood for casual yet still fun, Lower Greenville has the best options for food, dessert and drinks. Or for the artsy tribes, Deep Ellum will blow you away with it’s street art and always happening concerts at the coolest venues. No matter the personalities in your group or likes of the bride, Dallas has something to offer you! There are so many more reasons to come visit Dallas, but I’ll save those for later posts to really dig deeper in to everything Dallas has to offer you for an unforgettable weekend. Overall, you can’t go wrong with picking Dallas because no matter what you want to do, you will find it here. It is the perfect place to spend a weekend with your girl gang, celebrate your favorite bride, or just explore somewhere new. 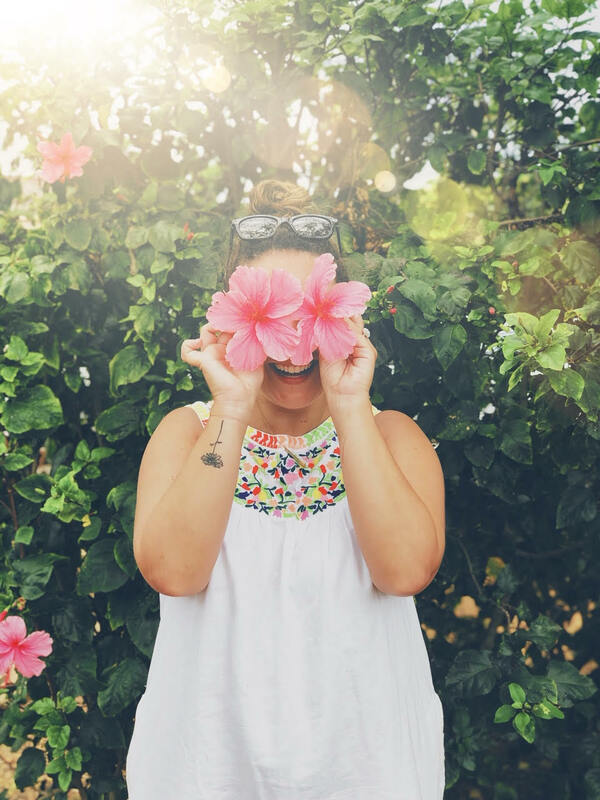 To top it all off, having your own flower party here in Dallas will make it the best weekend with so many beautiful places to host it at, and even more awesome places to wear it to! We are super excited and happy to announce one of our newest locations in the great state of TEXAS! Drum roll paaaalease!!!!! 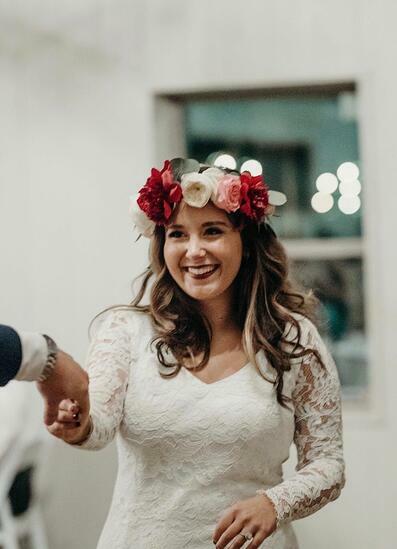 Please meet Jeannette Hosch, our newest flower party hostess for the Dallas area. 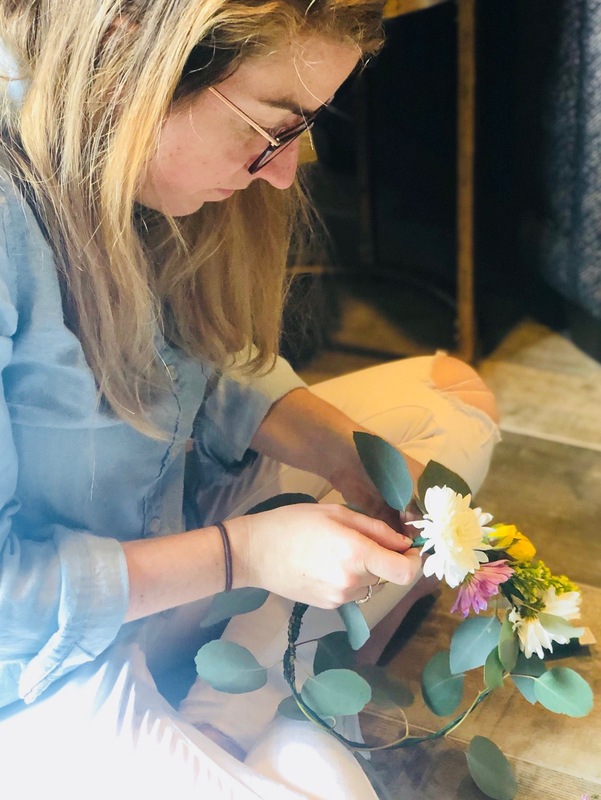 I thought it might be fun for Jeannette, our Dallas Flower Party Hostess to give you a little background on who she is and why she is joining us doing flower parties as her side hustle. Here's a little bit about her! Hey y’all! Jeannette is my “grown up” name, but my friends call me Jenni! I was born and raised in Dallas, Texas where I grew up with flowers in my hair and a paint brush in my hand. During my college years at Texas State, I floated the river and found my husband; who I quickly convinced to move back to Dallas with me after graduation. We now live happily in East Dallas, and when I’m not teaching Kindergarten, we spend our days hopping all over the city with our three dogs. Besides binging Netflix, drinking wine and practicing calligraphy, I love exploring this big city I call home, and finding hidden gems on every corner! 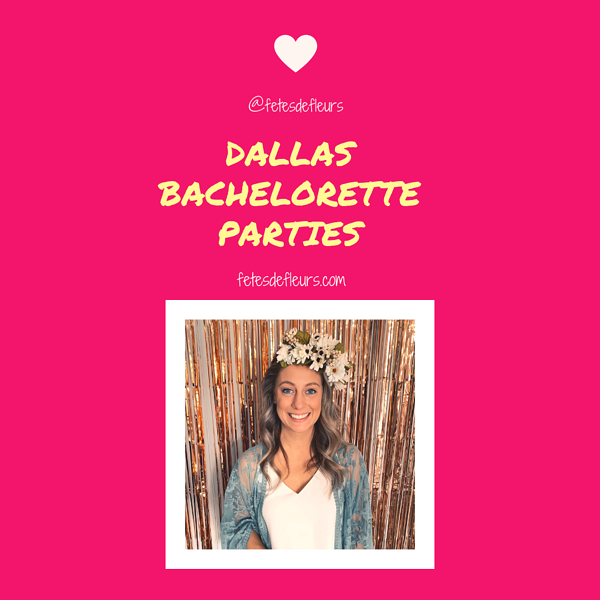 I cannot wait to host a Dallas bachelorette party with you ladies or even a Dallas locals flower celebration. I am here for all of your floral party needs. So why Dallas for one of Fetes de Fleurs next locations? Here's why Jeannette is excited to join us for her side hustle in Dallas. 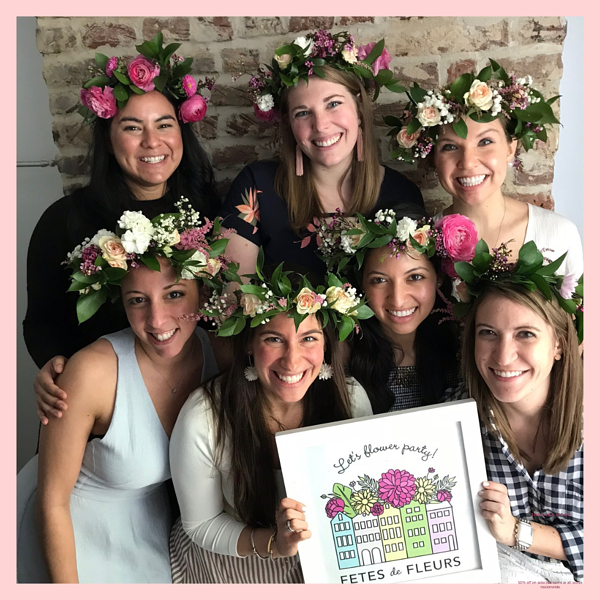 After you make your beautiful flower crowns with me, you and your tribe will have to visit my favorite street in Dallas- Lower Greenville and let your flower crowns shine at the best patios and roof tops, where you can sip the sweetest Frosé and gear up for your night out. Then spend your night at my favorite spots in Deep Ellum dancing the night away! Whatever it is you want to do for your last fling before the ring, you deserve it and Dallas will have it! 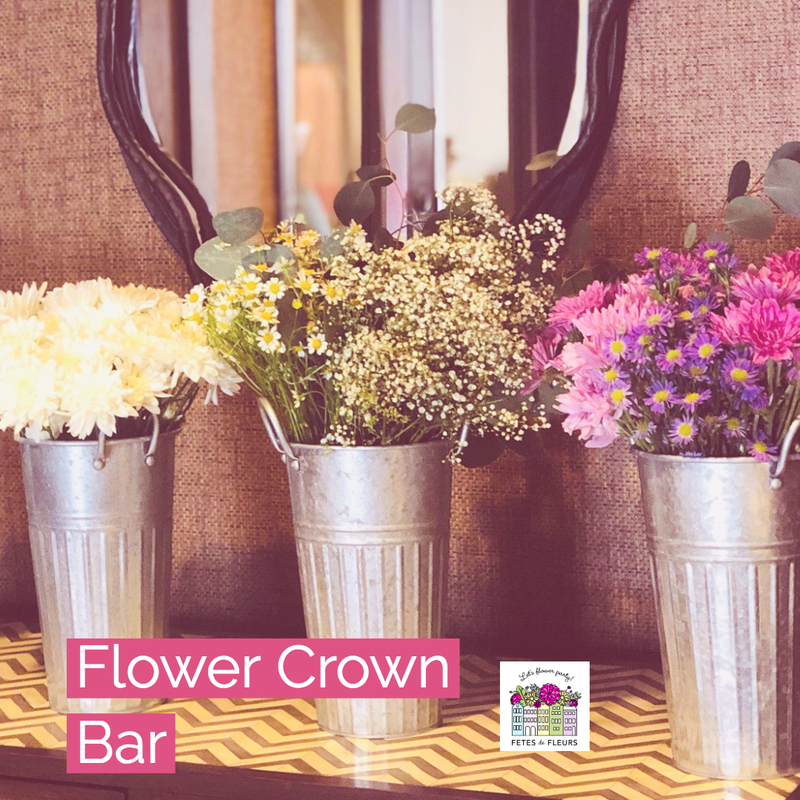 Request more information on hosting a flower crown bar for an event or a flower crown workshop for a party by clicking the button below. You can also fill out the form here requesting more information on a Dallas flower crown party here.